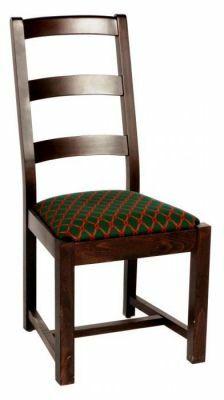 Robust wooden dining chair available from stock in a Dark Walnut frame with upholstered seat options. Designed for a wide range of commercial applications. Classic look dining chair with extra cushioned seat and strong wooden frame. Includes three back panels. Held in stock with an attractive Dark Walnut finish.